These 13 ways to survive winter blues will help you to find a way. Start with a few natural ways. If the symptoms don’t get better, step it up to some stronger reliefs. On this list of 13 ways to survive winter blues, there’s something for everyone to try. Knowing these facts, you can turn that frown upside down yourself or know when to get the help you need. First of all, let’s talk about what the winter blues actually looks like. What Does Winter Blues Look Like? So, winter blues actually has a title: Seasonal Affective Disorder. According to the Mayo Clinic, SAD is basically a type of depression that results in the changes of seasons. And, typically, the worst symptoms will present itself during the winter months. I, myself, feel the brunt of SAD during the months of December and January. I know many others do as well. Especially the winter after having my second child. I had already learned I was suffering from post partum depression, and it really escalated in December and January. I definitely didn’t feel like my happy self. Overall, I felt overwhelmed with life! With the farm. And with my kiddos. I didn’t feel like myself. I would just shut down and lack motivation to do anything. But I knew I wasn’t the only one because I noticed many related posts in different social media groups I’m a part of. The negativity was real. So, I began to look for ways I could help myself and others to help overcome feeling depressed during this season. And I found 13 ways to survive winter blues. So, this one is my favorite of course. Depending on where you live, you might think this is a difficult feat. I understand those winters can be pretty cold up north! But negative temperatures or positive ones, fresh air does the body (and mind) good. Bundling up and getting outside can be a nice break from cabin fever. 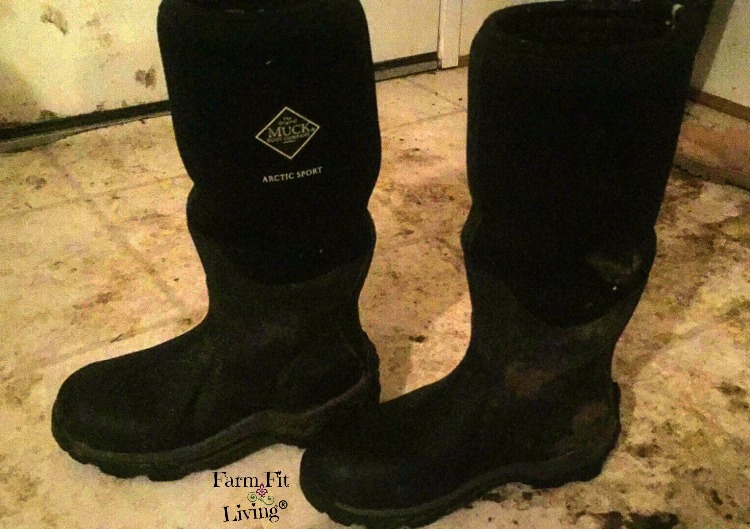 Insulated Gloves – I LOVE THESE!! My hands don’t get wet and cold. And with all of that on, I can still move around. I stay super warm even in temperatures that are below zero. Therefore, getting outdoors is great for your immune system but it can also be good for your mental health, too and can work wonders for depression during winter. If you’re like me, you consume more calories during the winter to stay warm. Try to burn some calories every day, too. Release of adrenaline good for the body and soul. If you go to the gym, you get to be around people. Motivation to take control of your life. And you can definitely find that motivation to exercise through your support group of friends, family and social media group. But, you have to take that first step. You have to take action. That’s the hardest part. Hence, your mindset must be healthy first to take that step. So, this is where your diet can actually be the first step towards taking action to exercise. Nix the sweets from your diet! Lean meats, Vegetables and Fruits should fill your plate. A little dairy and whole grains on the side, of course. Now, we all know that during the winter, those comfort foods call out to us. You have to be stronger than the food. You are stronger than the food. I know Mac & Cheese wants to be in your belly right now. Maybe you could look for some healthier options for mac n cheese? 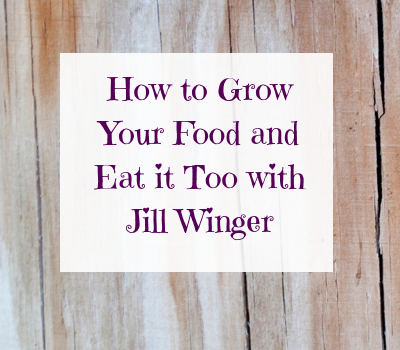 Like using spaghetti squash or zucchini instead of pasta? Anything you have to do to feel better about your diet. Knowing these, I will try to incorporate more of them into my daily diet. I know, it’s hard for me to buy eggs since I have laying hens. And during the wintertime, my chickens break from laying. So, I need another way to get my vitamin D. I supplement. So, speaking of vitamins, are you getting enough? What vitamins should you be aware of? Well, all of them! Vitamin D is a big one. Many people are deficient in Vitamin D during the winter months due to not receiving enough sun light. Again, include leafy green veggies, orange carrots and fruit into your winter diet to naturally get these vitamins into your body. If you are not a leafy green fan, you may want to consider supplementing. After reading about the impact of vitamin deficiency on depression symptoms, I now continue to take a prenatal vitamin every day. The prenatal contains 100% daily value of all the vitamins I’ve listed. I still try to consume these in my diet as well. You really cannot overdose on these vitamins. Find a way to get them in and you will see a difference. Trust me. I’m currently learning about essential oils and how I can include them in my daily life. They are a great natural way to remedy lots of things! There are essential oils for just about everything out there, including depression during winter. You can find friends who are distributors that might let you sample some. And, if you’ve been itching to try essential oils, winter is the perfect time to try them out and see which ones work for you. Have you ever walked through the fair vendor show and saw these salt lamps? They are designed to help you during your lowest times with all sorts of ailments. But how do they work? They provide light while using very little energy. The light from salt lamps actually neutralize electromagnetic radiation that increases negative ions in your body. Furthermore, your mood is improved. As well as your energy level, so you can get things done and exercise! So, I have not tried a salt lamp yet – Only because I have not bought one. But, I’m getting ready to. I have done my research and talked to others who swear by them. Of the 13 ways to survive winter blues, this is KEY! And really so easy…You just have to pencil in a date with yourself. And if you say, “I don’t have any time for myself”, I call B.S. An hour is 4% of your day. You can fit in an hour of time just for you to relax and do what you want to do. 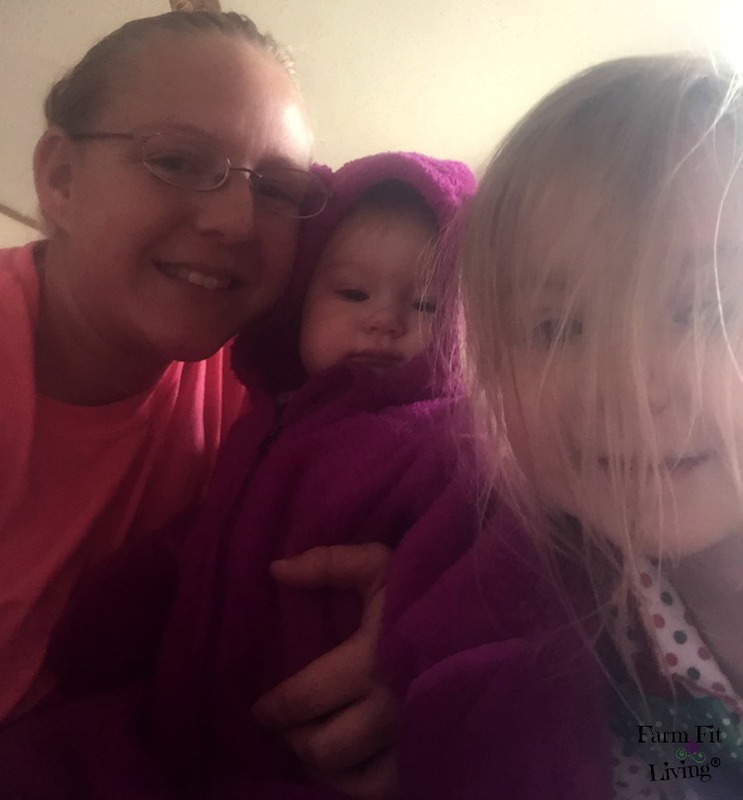 For me, becoming a mom of two was so incredibly hard. My older child is very strong willed and had trouble adjusting to a little sister. I began to blame myself and worry that I was the one not giving her enough time. And with that, I began to focus more on her and less on myself. I began to let myself go. And that’s why I’ve added “make time for yourself” as one of the 13 ways to survive winter blues. I recruited some family to babysit of times per week. Spent about 20 minutes per day just reflecting and praying. Scheduled a hair cut/spa day once a month. Finally, by changing just one little thing at a time, I began to find myself again. Just one thing! That’s why I recommend just picking one of these 13 ways to survive winter blues. Because only ONE could change everything. I also felt the need to really speak to people about depression. You can follow me on Instagram as I share my day-to-day. Another symptom of winter blues might just be feeling so alone. Do you have anyone to talk to? Like family or friends? Or even medical professionals? I can honestly tell you that since I began talking about having depression, I don’t feel so alone. I hope people understand one of the reasons why I quit my job to stay home with the kids. And I’m hoping that others know that it’s ok to talk about it. Most of all, understand that certain people in your life may not be fully into listening to you talk about your depression during winter woes. That’s ok. You can still keep them in your life. But, you need to find SOMEONE who will be open to listening to you. Rejection is very hard on depression. You need positive and healthy support in your life. 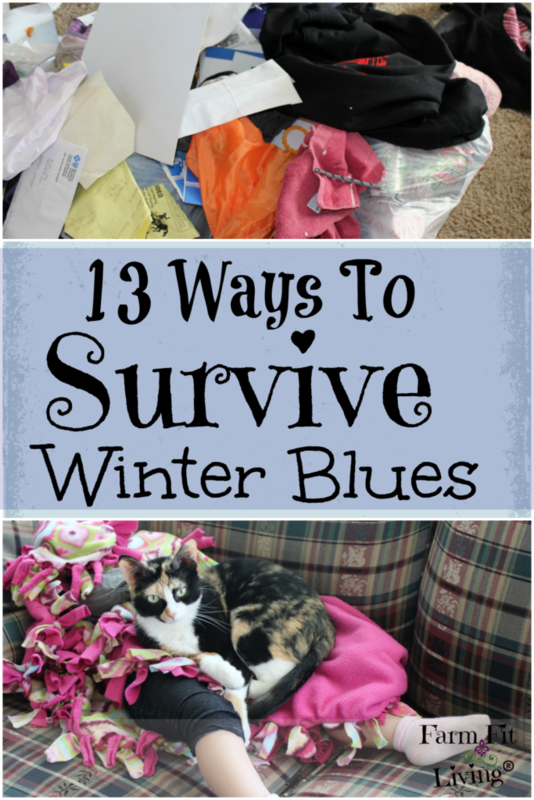 Of the 13 ways to survive winter blues, this one is very critical. And while you’re at the spa, why not try out the tanning bed as one of the 13 ways to survive winter blues? What?!? Yes, that’s what I thought as well. You might be wondering why this piece of advice is one of the 13 ways to survive winter blues. But, it is actually recommended to use a tanning bed for a few minutes per day or up to 5 minutes a few time per week. This increases the seratonin levels your body has been depleting. Your body is missing the sunlight and this is a great way to gain some back. Plus, you’ll be getting a great tan that everyone will be talking about. They will ask you which beach you vacationed to! Any artificial lighting will do some good. I’ve known people to set up a light box they can get into a few times per week or even daily. Just a little bit of light can make a whole lot of difference. And getting out of the house will, too. This is a hard one for those of us who suffer. But it is so important for our health. Another of the 13 ways to survive winter blues is to get out into your community. Perhaps not really a favorite one of the 13 ways to survive winter blues if you’re an introvert like myself. I prefer to stay in. But sometimes, I will venture out to socialize with others. And there is always something going on in every community. But, if you feel like your community is dead, why not start a new event to bring your community together? The list is endless and unique for each and every community. It’s fun to hop around to different communities to help celebrate those traditions. Meeting people and making acquaintances is good for human beings. We are naturally social beings, so we NEED to be able to talk to people. So, try it. Hit up the next community event and see how good you feel afterwards. Take control of your life! Who’s your favorite person? Schedule a date with them to do something fun. Of the 13 ways to survive winter blues, this one is probably the one I look forward to the most. My husband and I recently began going on a date (without the kids) once a month. This has been a fun relief for us. How about Dinner & a Movie? Whatever you choose to do, do it with someone you enjoy spending your time with. Find fun things to talk about. Laugh a LOT. Save the depression talk for the doctor and have a fun night out. So, if you’re utterly concerned with your well being and nothing else has worked for you, you may want to visit with your doctor. Because your doctor will have provide some great remedies for you. He/she may want to put you on certain antidepressants. Your blood work will be checked for nutrient deficiencies. You may just have to take some extra Vitamin D.
Also, men could also have their testosterone levels checked. Because, hormonal imbalances is one of the causes of depression, so be sure all are in order. If nothing else, your doctor can help you. Get help if you aren’t feeling better by the challenges and changes you have tried to implement. Challenges motivate people. They stimulate mindset and make it excited for what’s to come. First of all, you need to be able to see yourself already possessing the results of the challenge. This is called seeing the big picture. By seeing the big picture, you’ll be able to make that mindset shift to believing you can. And the rest of the journey is overcoming those little milestones to achieve the big picture. For example, when I was successful in losing weight for the first time back in college, I was completely focused on it. I could see myself in my mind. I knew exactly how much weight I wanted to lose. And I stumbled, slid, and pivoted along the way. I did achieve my goal because I was focused on the challenge. Hence, I had to keep my focus and find grace in myself. I learned so much through the process. I think I’m really going to enjoy hosting a podcast. Therefore, the mindset is what moves you to greatness. If you want to challenge your mind, you have to believe you can do it. You have to see yourself there. Because the results can be huge if your mind is in the right place. In conclusion, we all know that our mindset dictates how we live. And only you can control your mindset. And I know how hard it is to maintain a positive mindset when depression kicks in. Believe me, I know! But, in the midst of feeling frustrated with good and bad days and getting absolutely no where with my goals, I found out that depression can be overcome. In addition, depression during Winter is completely treatable. Naturally or with medication. One of these 13 ways to survive winter blues should work for you. Start with one. So, take action. Pick one of these 13 ways to survive winter blues. And take control of your life. Be happy…not sad. And create the wonderful life you want to live. Great article! You covered a lot of territory. I belong to a gym and have alway turned up my nose at the tanning beds. I’ll rethink that. I do miss warm sunshine. Thank you! Thank you, Judith! There is something for everyone to try in this article. I believe in having lots of options but picking the best one for you. I agree on missing the sunshine – Yesterday, it was almost 50 degrees here but cloudy and foggy. Sunshine would have made it feel a lot warmer. And I don’t know what I’d do with out my gym. I didn’t know about including tanning beds, but a few minutes is not very long. And it is recommended to use some artificial light to increase serotonin. There are numerous other lights you can use as well if you don’t want to use the lights from a tanning bed. Have a happy rest of the winter, friend!